September 10, 2001: I just put my boyfriend on a plane from Tulsa to San Francisco. The next morning I drove my usual 75-mile commute to Fayetteville, Arkansas, where I had a day full of classes at the University. I normally arrived on campus early and spent the morning at Mullens Library, catching up on reading before Tax Accounting began at 9 a.m. About 8:40 a.m. I began my walk to the business building under a clear blue sky, my steps light and quick, while my thoughts were transitioning from the last few days with Frank and into the next few hours with Tax. It was a Tuesday. Only a few years prior, the Walton Family (yes, that Walton Family of Wal-Mart), made a $50 million donation to the University of Arkansas business college. At the time, it was the largest single gift to a University in history, and the building was soon renamed the Walton College of Business. The next years saw a tremendous improvement in the facilities, primarily in technology, with many classrooms receiving upgrades to presentation systems. The new systems were pretty great, I must say, projecting computer screens, videos, television, and documents onto an enormous screen across the front of the room. At the time, it was the cutting edge. When I entered my first classroom, a handful of students were scattered among the seats. The normally blank big screen was filled with a television broadcast from CNN, reporting on an unusual occurrence on the New York skyline. A plane had hit a skyscraper in what was believed at the moment to be a terrible accident. As subsequent students arrived, each announced a new bit of information gleaned from an outside source, and the truth of the day began to take shape. The classroom was full and the teacher had arrived, but rather than beginning class at the scheduled 9 a.m., we continued to watch the news, all eyes fixed on the enormous screen. At 9:03 a.m. we watched the second plane hit the south tower of the World Trade Center. The room let out a pronounced gasp, and I remember tears rolling down my face as I, and everyone else, realized this was no accident. Someone from my left handed me a tissue, and I collected myself quickly. I was 34 at the time and surrounded by a sea of 20-year-olds in this college classroom. A wave of panic began to fill the room and fell from their lips. I knew I had to remain calm. As the older student in the group, a maternal instinct kicked into gear and I felt a responsibility to remain stable and strong for them. Their youthful innocence about the world had just died before their eyes. So had mine. After tax class was dismissed, I found a quiet place at the end of the hall and called Frank. He was still sleeping, and after he turned on the television, we tried to keep each other calm in the midst of wondering what all this meant. 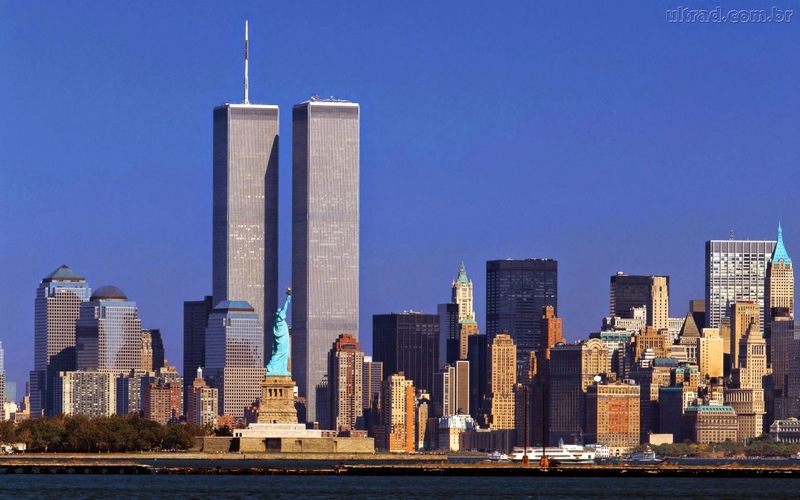 Yet in all the reflection that this anniversary brings -- where you were, how you felt, what you saw -- I will never forget the way we, as a society, were in the aftermath. In our collective shock and grieving, we were kinder to each other. In the days and weeks that followed, we hugged more. We listened. We patted each other on the shoulder and asked with all sincerity, "How are you doing?" The preciousness of life had played out on television right before us, as we watched and waited for the answer to our one big question, "Why?" But no real answers came. Not ones that eased our pain. In the 13 years that have passed, the sting has faded, and I find myself trying to focus on how kind we were to one another in the weeks that followed, though an aptly timed photograph or news report can quickly transport me back to that very moment in tax class. That memory will never leave me, but I would rather remember how we treated each other in the aftermath. We were connected in our grief and bonded in our healing. We were, for a few brief moments in the fabric of time, family. All in all, I chose to remember the kindness we showed each other in the days that followed the attacks. To me, that feeling is worth revisiting. The empathy in those days is worth pursuing. That, and a time machine to take us back to September 10, 2001. As an aside . . . Admittedly, when I comment on addiction to devices, I am partly saying the words to myself. Though I do not use them during dinner, I have always felt I am too attached, and actually have begun planning "electronic free zones" on my calendar. Like a friend of mine says, "When you point an accusing finger at someone, you have three pointed back at you." My wonderful 80 something year old aunt and uncle make it a point to spend one hour every morning with no electronic interrupts, no tv, cell phone, etc., to talk to each other. Maybe we should all take their 'advise' and put down the electronics for at least one hour a day and have a good ole conversation. It might do us all some good.